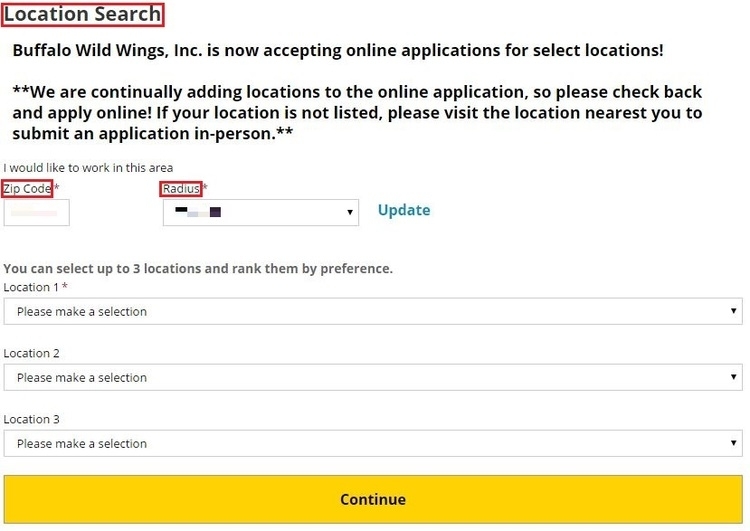 When you visit buffalowildwings.com/careers to apply for a job, the first thing you need to do is to select a suitable position based on your qualification and preference, then click “Apply now” to start your application. 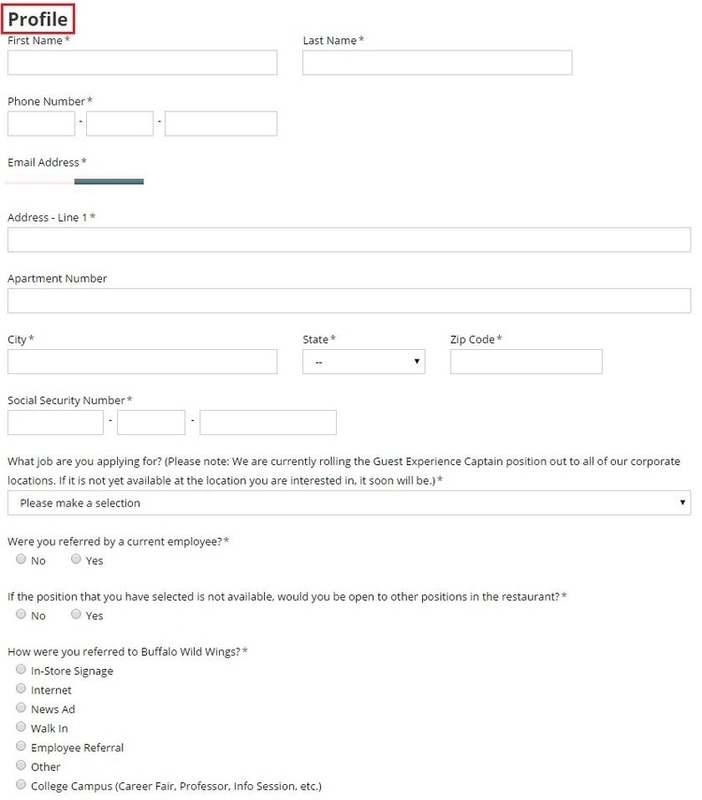 After you click “Apply now”, you will be required to apply for a new account with a valid email address to log in and continue your online BWW job application. You can also choose to log in or sign up your Snagajob or Google Gmail account. And after that, you have to chose a supported language to start your online application. When you start your application, you will be asked to enter a zip code and radius to search a location that you prefer to work at, which is a necessity at BWW. And you are permitted to select up to three locations. After you finish it, you can click the "Continue" button to go to the next step. On this step, you will be required to fill out some personal information, including your legal name, address, social security number and so on. 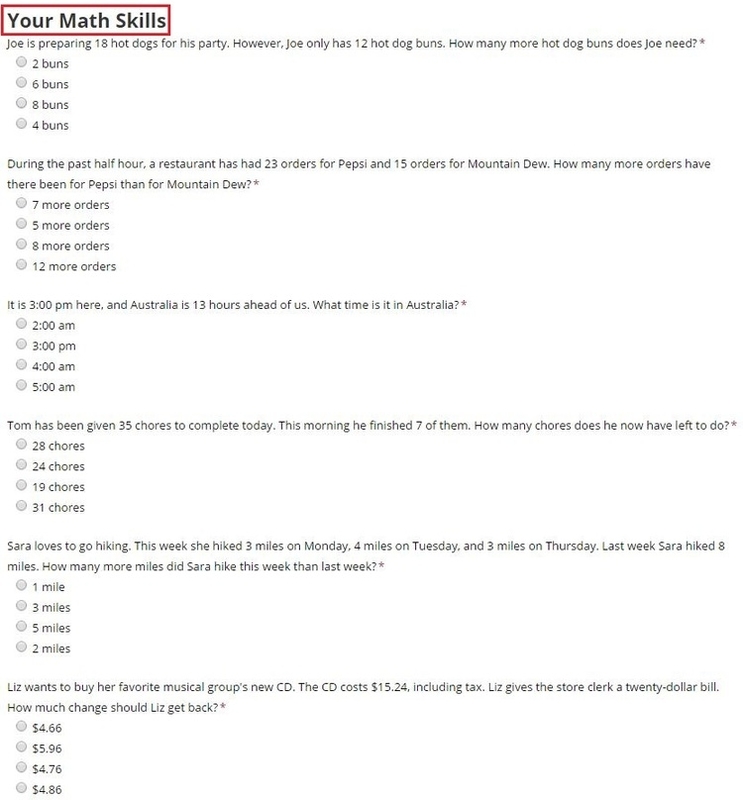 In addition, you also will be asked to answer some questions about your preference towards your job at Buffalo Wild Wings, such as the optional positions for you’re not available to be hired, the reasons to work at here, the basic qualification and legal age of working in the United States and BWW. After you’ve introduced yourself at BWW, it’s necessary for you to tell BWW about your work experience and education background. You may tell your previous experience, including the position and employers, and some supplemental experience. Also, your school name, type, major and any other supplemental education are also required. 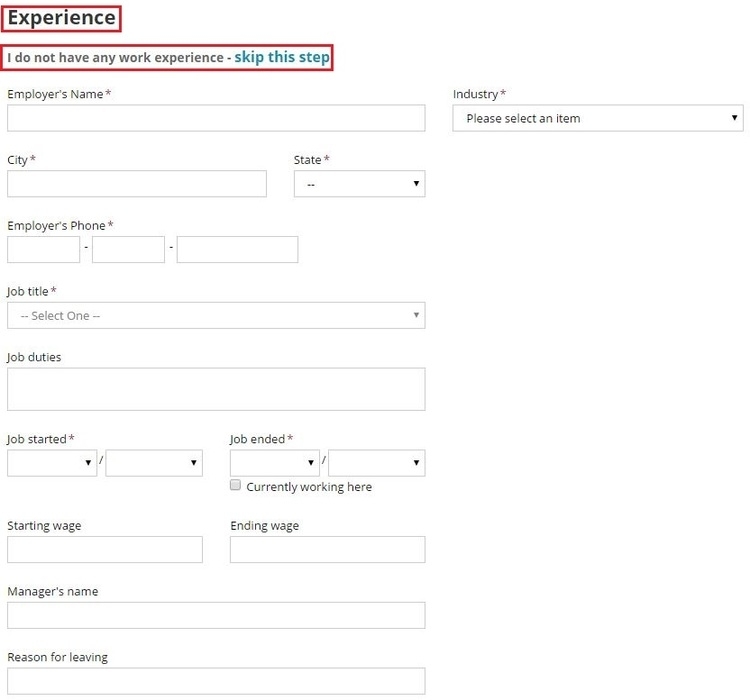 If you don't have any work experience before, you can simply skip this step. 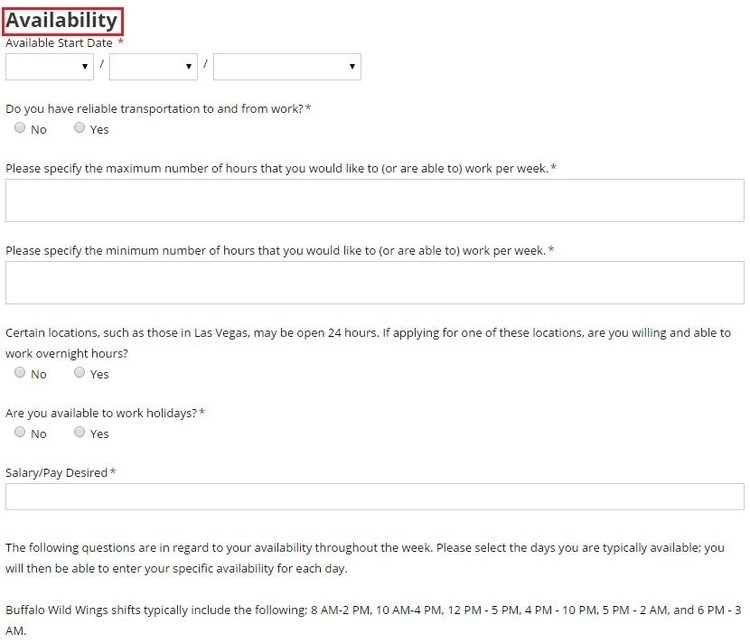 Then, you have to add at least two references and are allowed to upload your resume on your local computer. On this session, you need to present your availability of working at BWW that contains your available start state, reliable transportation, working hours, salary and available work days, etc. On this step, you will take some examinations to assess your skills at BWW, including the math skills of addition and subtraction, language skills about your English grammar of words and collocation, reading skills and learning skills with passages provided here and answering some questions. 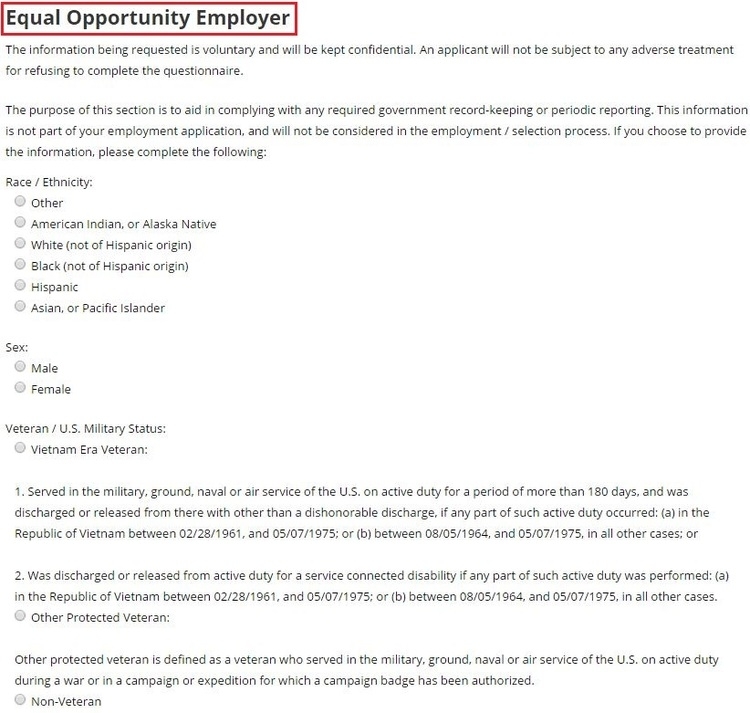 With all required information provided, you will be asked to complete a questionnaire, which requires you to indicate your race, gender and veteran status that will all be voluntary and confidential. After doing that you need to enter your name and password at BWW for the arbitration agreement and then you can submit your Buffalo Wild Wings application. 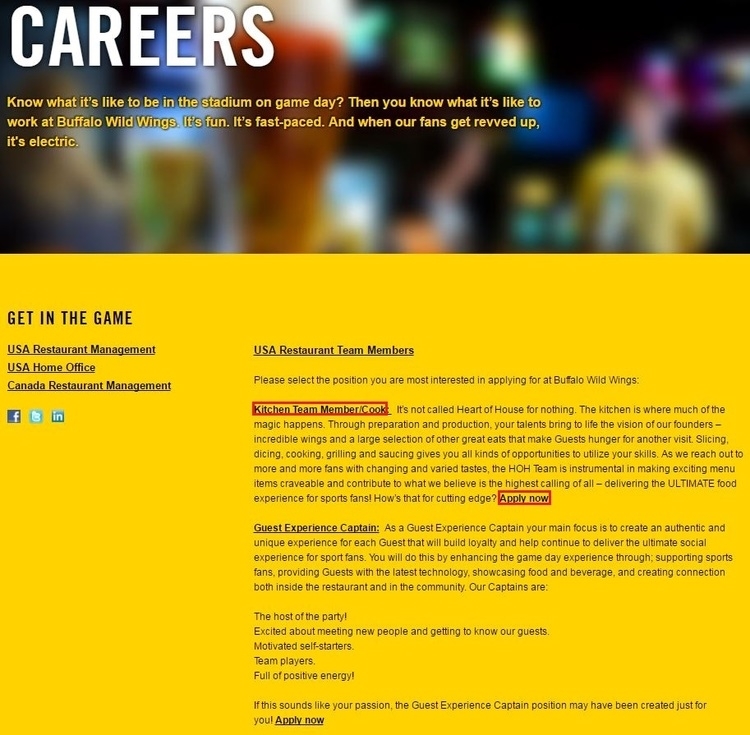 Click buffalowildwings.com/careers to apply for Buffalo Wild Wings jobs online.